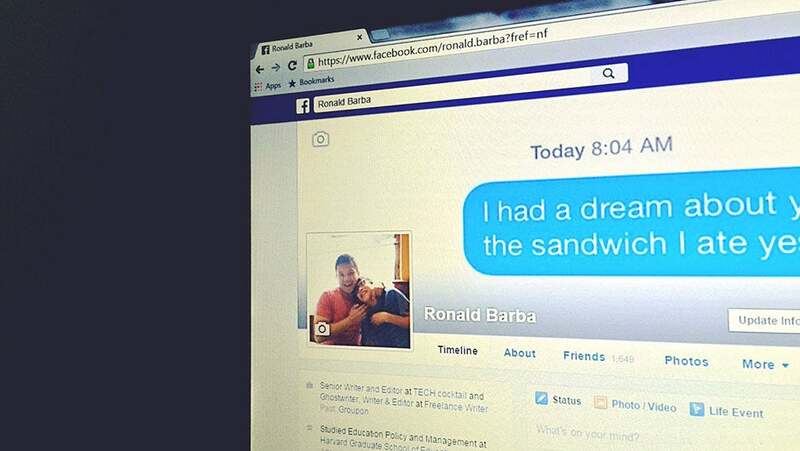 What if someone told you that you had to refrain from any Facebook usage for one week? How would you fare? Would it be as easy as if someone asked you to stay away from the planet Mars for one week? Would you have some difficulties in the beginning because your muscle memory automatically takes your thumbs to the Facebook app, but overall it would be no big thang? Or is your addiction so bad that you would get the shakes and need to be admitted to a detox unit? In the fall of 2015, The Happiness Research Institute published a study called The Facebook Experiment. The experiment involved 1,095 Danish citizens; half of them were asked to refrain from Facebook for a week, while the other half were not. 61 percent prefer to post their good sides on Facebook. The experiment was simple. Half the group was not allowed to use Facebook at all for the one week duration of the experiment. The other half (the control group) was allowed to continue using Facebook as usual. I’m sure you can probably assume the results (spoiler alert: the title of this article somewhat gives it away). 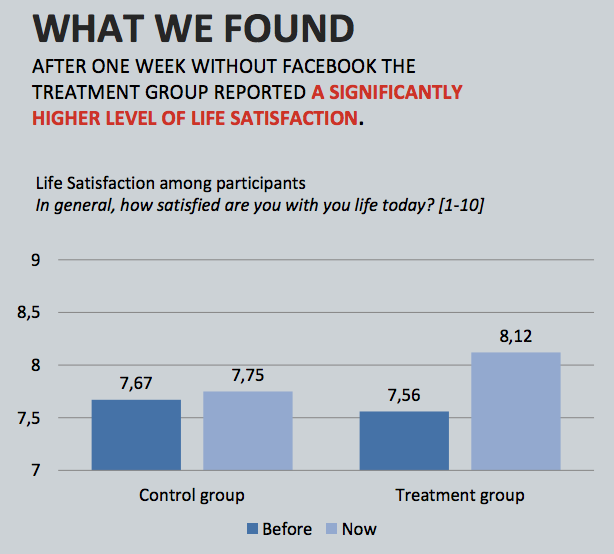 It turns out that those who refrained from Facebook reported a significantly higher level of life satisfaction after the one-week period was over. When it comes down to it, we all know that Facebook is a distraction, a timesuck, and not an accurate depiction of our friends’ realities. It’s where people post the best slices of their life for other people to scroll through when they’re procrastinating working. So it’s quite possible that navigating away from Facebook for a few days would make you more productive during the work day, less likely to be brought down by your friends’ amazeballz (but not really) lives, and you’d have more time to go out and live your own life.